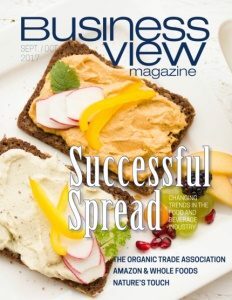 Business View Magazine interviews Apryl Hanson, Head of Marketing for Blytheco LLC, as part of our focus on best practices in American businesses. Blytheco LLC, with headquarters in Laguna Beach, California, is a full-service consulting firm that serves the small and medium-sized business community with installation and configuration of software solutions, process analysis system reviews and customization, and various marketing automation services. The company was founded in 1980 by its CEO, Steve Blythe, a CPA with experience from Price Waterhouse Coopers and Ernst & Young, and a recognized authority in the design, implementation, and support of business software and accounting and management reporting systems, such as ERP (Enterprise Resource Planning), CRM (Client Relationship Management), HRMS (Human Resource Management System), and PRM (Partner Relationship Management). “We pride ourself on a couple of stats that, in the last few years, have become increasingly important,” Hanson continues. “A lot of implementations fail, and we have a 95 percent success rate when it comes to new implementation of software, and that’s because of the time we spend upfront, making sure that we really get to know their business and figuring out what the ‘gotchas’ will be. We’re not afraid to have difficult conversations about what’s not going to work in a solution, or what’s going to need either automation, or some customization, or some configuration added to it. I think a lot of other companies approach is: ‘Let’s hurry up and sell the solution and we’ll get in there and we’ll approach and cross that bridge when we get to it.’ And that’s where a lot of implementation fails because there’s not that eyes-wide-open deal at the beginning of the project. 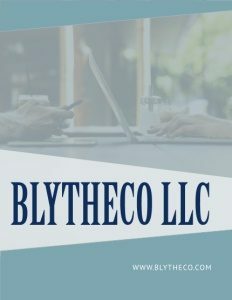 Of course, Blytheco will also continue to provide the finest accounting and business system consulting, installation, training, support, and custom programming available from such providers as Netsuite, Acumatica, Salesforce, Act-ON, Infor CRM, and especially Sage, its main business partner since 1980.